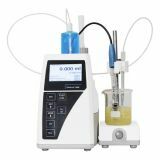 For use with all dosing liquids, solvents and titrants. 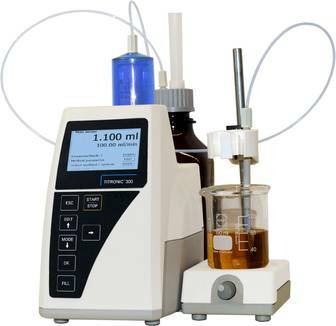 The adjustment of any dosing volume and the dosing speed is made simply by pressing a button. 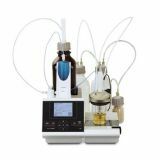 For incremental dosing operations, the entry of the volume and the waiting time between the volume increments can be adjusted just as easily and quickly. Titration with hand controller (mouse). 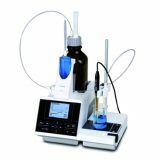 Titration rate can be adjusted in five different steps to optimize the titration speed and accuracy. Automatic calculation of results in different units and exportation to a printer or USB memory device. Automatic weight recording when a balance is connected. 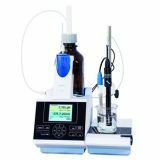 Adjustable dosing and filling rate for each method. Adjustable filling between each dose step. 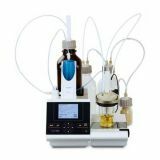 The intelligent filling function checks if a dosing step is feasible without filling in advance. This reduces faulty operations during a serial dosing process. 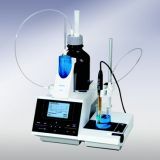 The TitroLine 7500 KF is the volumetric generalist for a wide range of use. Store up to 50 user methods. 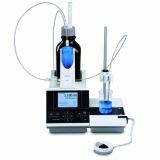 The all-rounder for both potentiometric titration and volumetric KF titration.